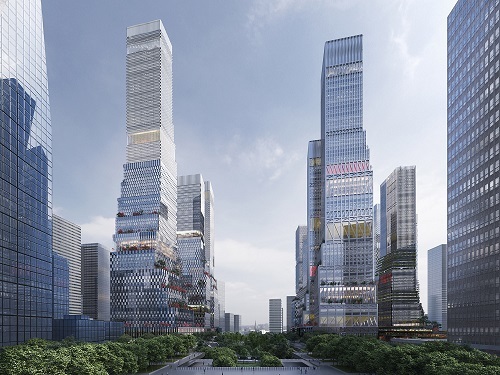 The 1.36 million square metres development encompasses offices, retail space, apartments and a hotel, integrated with Shenzhen North railway and metro station. The main buildings of the business district are set around a central urban park and vary in height between 278 and 428 metres. By situating the transportation nodes on the subterranean levels, the public park appears as an open green space, something the area currently lacks.